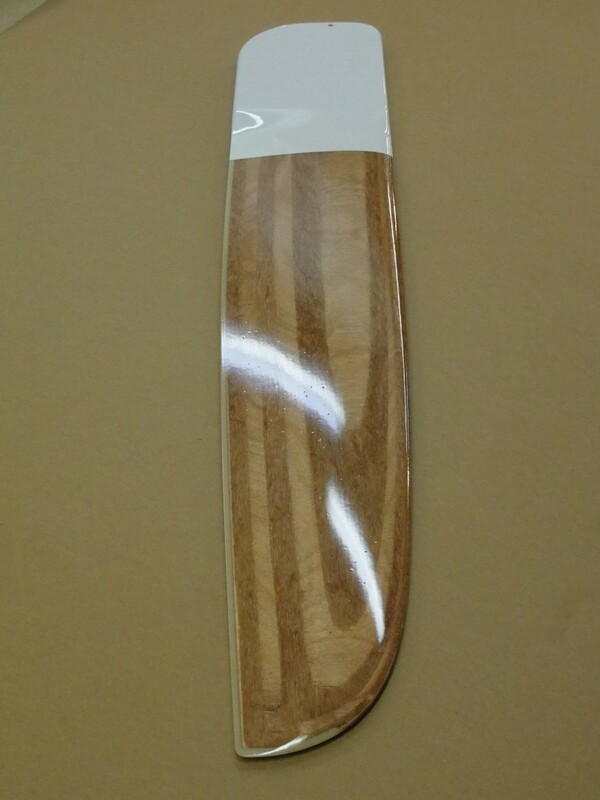 We recently had a rather large run of foils (dagger-boards and rudders) machined that are not quite up to our standards. They are very slightly less accurate than our our usual nearly perfect foils and on the dagger-boards there is a small depression on the starboard side only. 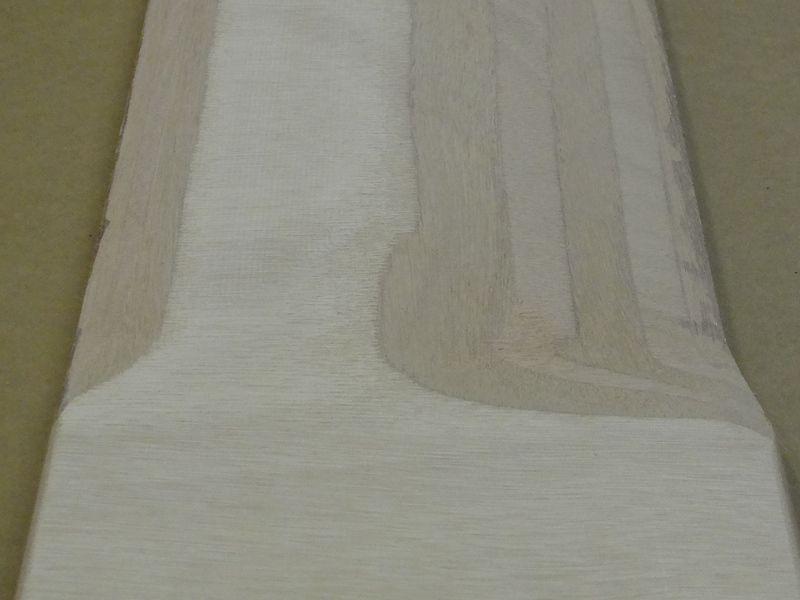 This low area is visible in the photo and would look a bit odd on a bright finished foil. shows the miscut on one side. This will get filled with epoxy before shipping out. We painted the upper end of a dagger-board from this batch to hide the filled low spot and it looks really sharp (see photo). Click for more detailed information on our foils kits. Also, see our options page for the PT 11. 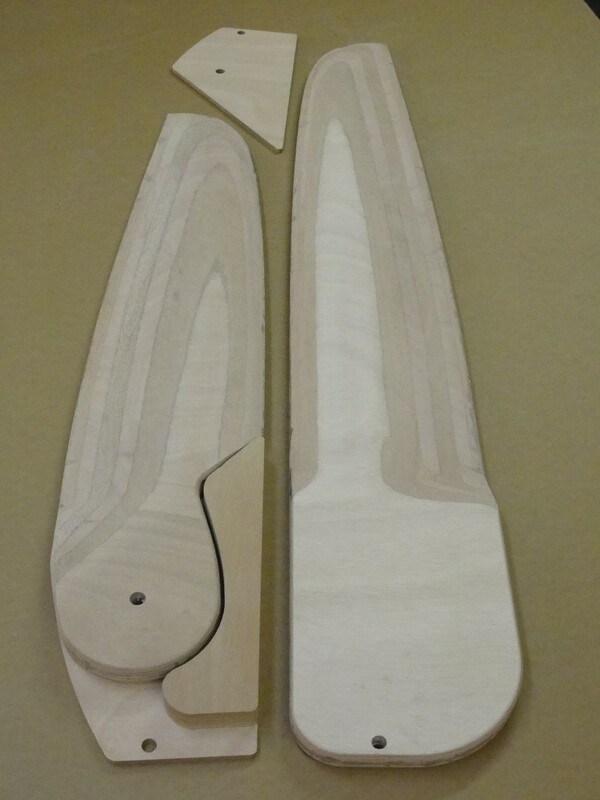 All of our kit parts, including the foils are cut from the highest quality Lloyds okoume marine plywood. Note that 12mm plywood is now only available in the 7 ply instead of 9ply as shown in earlier foils kits. This means the foils now have 14 plies instead of 18. Towing the PT11 and new hatches to come.